What Is Cloud Technology & How Does It Work? From humble beginnings more than half a century ago, cloud technology has surpassed even the wildest dreams of founding architects John McCarthy and J.C.R. Licklider. With such on-demand, publicly accessible and easily used service, it would surprise both McCarthy and Licklider to know that many people don’t understand much about cloud technology and how it works. But is this really so surprising? Cloud technology is one of those things we use everyday and as long as it works, who cares about the mechanics. But for businesses looking to improve their bottom line, cloud-based solutions may be the right answer. And if your business is interested in cloud technology, it’s important to know what your options are. Basically, cloud technology allows us to access and store data via the internet rather than a personal hard drive. Think about Google Drive, iCloud or Dropbox to name a few. These cloud-based services store all of your data strictly through the web, freeing up space on your device among other benefits. In more advanced terms, cloud technology works through data centers. Instead of using the storage space on your phone, computer or tablet, your information is housed in virtual servers. These virtual servers connect to huge data centers which have the infrastructure to store and protect your data. Cloud technology gives rise to cloud hosting. As the name states, companies that specialize in cloud computing host their own cloud service. Hosted cloud services can be public or private. The route you choose depends on your business needs and constraints. For example, we at iVenture have built our own private cloud that we and our clients use. But, the Google Drive or iCloud on your phone is a public cloud because anyone can use it. Let’s break this down more. As you could guess, public clouds are openly accessible to anyone. These publicly-offered infrastructures are owned by third-party vendors (think Gmail) and shared by many different businesses. In the case of Gmail, anyone can access it and many different companies use it. Public cloud services are a good option for start-ups and businesses without strong security requirements (no medical and legal businesses). This type of technology allows businesses to benefit from the cloud without allocating a lot money and manpower to keep it going. Private clouds (think iVenture) are exclusive to a specific company. The IT infrastructure is located either on company property or in the cloud provider’s own data center. With private clouds, businesses can expect an individualized level of service i.e. a cloud that’s built just for them. For companies that have high security and compliance requirements, like HIPAA, private clouds provide a heightened level of protection. Because this type of cloud technology is your own, it requires more work to manage and maintain. Breaking cloud technology down further there is IaaS, PaaS, SaaS. You can think of these three as branches on public and private clouds. Infrastructure as a Service (IaaS) is your traditional infrastructure, virtualized. With this type of cloud computing, your servers, storage and networking equipment are brought to the cloud. IaaS helps with future planning needs because you don’t have to worry about investing in more IT space as your business grows. Platform as a Service (PaaS) provides businesses with the tools to test and develop applications. By managing the platform that your developers work on, they can focus on the big picture while your PaaS provider ensures the system is working properly. Software as a Service (SaaS) delivers the programs you need ready to go. All your business has to do is subscribe to the service. Microsoft Office 365 and Salesforce are great examples of SaaS providers because they give businesses the whole package. 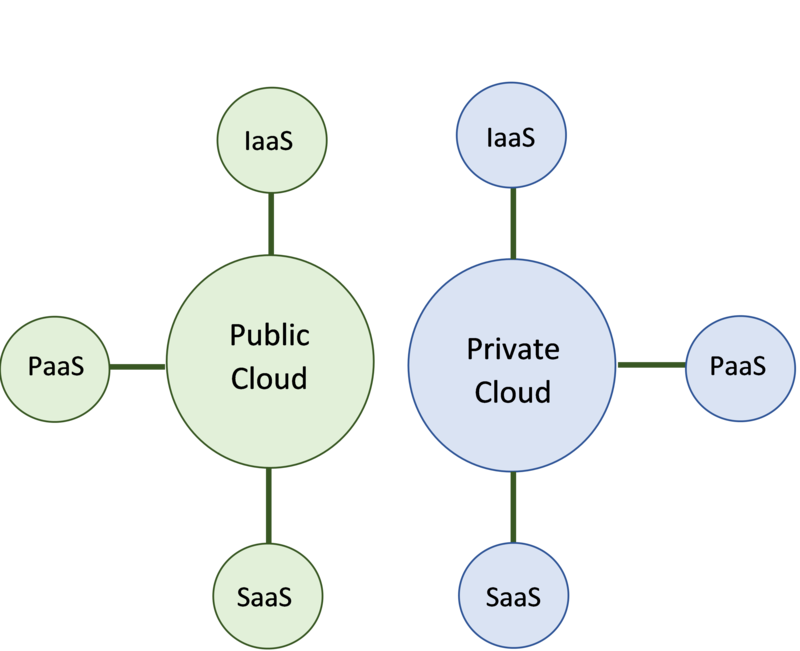 *While IaaS is common for private clouds, PaaS and SaaS tend to be mostly public. This is because the consumption-based pricing associated with creating and maintaining private PaaS and SaaS isn’t always the most cost-effective choice. What Advantages Can the Cloud Offer Businesses? For businesses looking to improve, cloud technology offers big benefits including, security, scalability, productivity and continuity. For businesses planning to grow, space for IT infrastructure can seriously impact the budget. With the cloud, there is less need for IT-related space. By remotely storing your data, your business has the room to grow without accounting for IT equipment upgrades. The cloud means access from anywhere, anytime as long as you have an internet connection. This means you can work at home or while traveling. You’ll be able to stay ahead of the dreaded backlog of tasks that build up when you’re not at your office desk. When emergencies and natural disasters happen, how is your data protected? If it’s stored locally and your office floods, you may have just lost everything. Cloud-based solutions ensure your data is high and dry in the event of any unforeseen circumstance. Why Choose iVenture for Your Cloud Needs? The iVenture Private Cloud is the best of both public and private clouds. Why? We take the fear out of putting your data in someone else's hands. It provides your business with secure, reliable, scalable and fully managed services without an expensive upfront hardware cost associated with building your own private cloud. Our data centers located in Jacksonville, Florida and Atlanta, Georgia are equipped with biometric security and CCTV monitoring, redundant UPS generator backups, dry system fire suppression and more to keep your information accessible yet safe from malicious attacks and forces of nature. Compliance: we'll design your environment to be HIPAA, HITECH, SOX, and PCI compliant. You'll always have access to what you need, when you need it from our secure data centers. Whether your business requires strong confidentiality, regulatory standards or just a way to scale up successfully, the iVenture Private Cloud delivers what your business deserves. When you're ready to take the next step, we're here. iVenture Solutions is an award-winning managed service provider delivering superior IT solutions to clients across Florida. 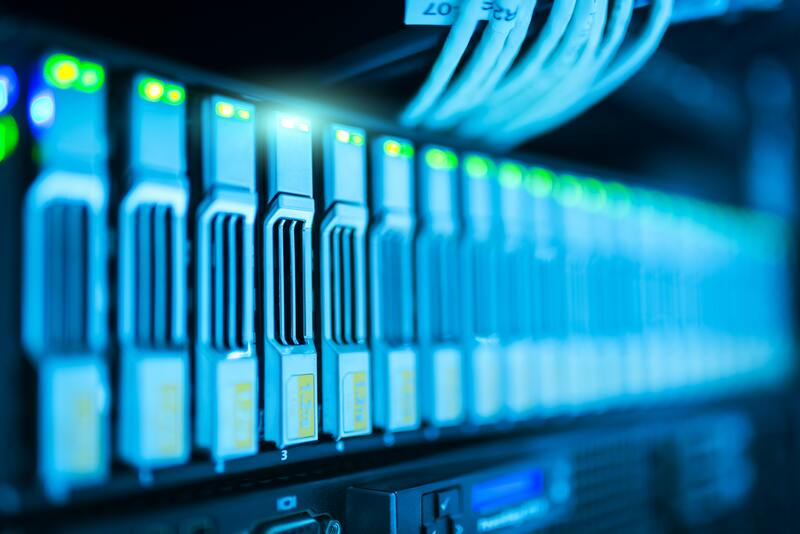 As a leading-edge IT firm for small and medium-sized businesses, we provide a diverse range of services covering the entire scope of IT including maintenance, support, hosting and more. Through rapid response time, reduction of chaos and the right people, our expert team of IT professionals will fulfill your technology needs. At iVenture, we give you more time to do what matters most.